Hydroseeding will give you superior results compared to the ordinary method of seeding and putting down straw and is a fraction of the price when compared to sod. 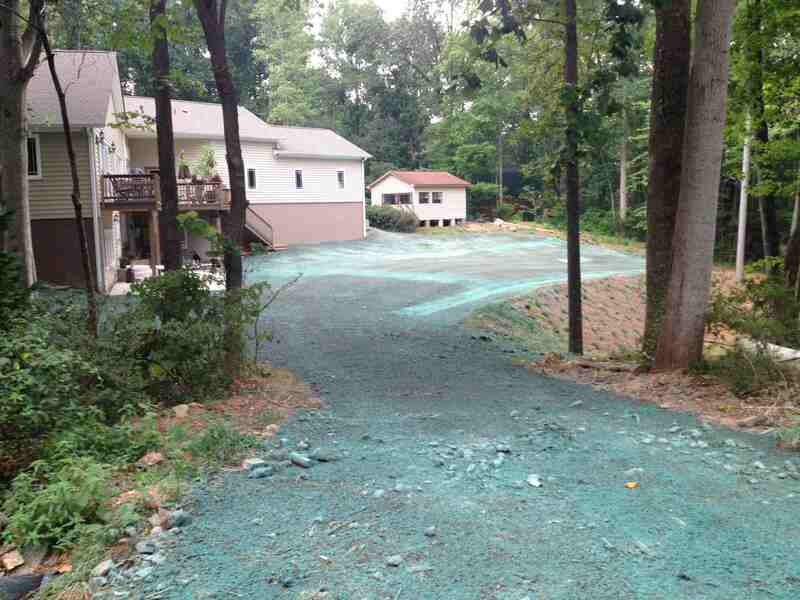 Hydroseeding typically begins to come up within 5 to 7 days. 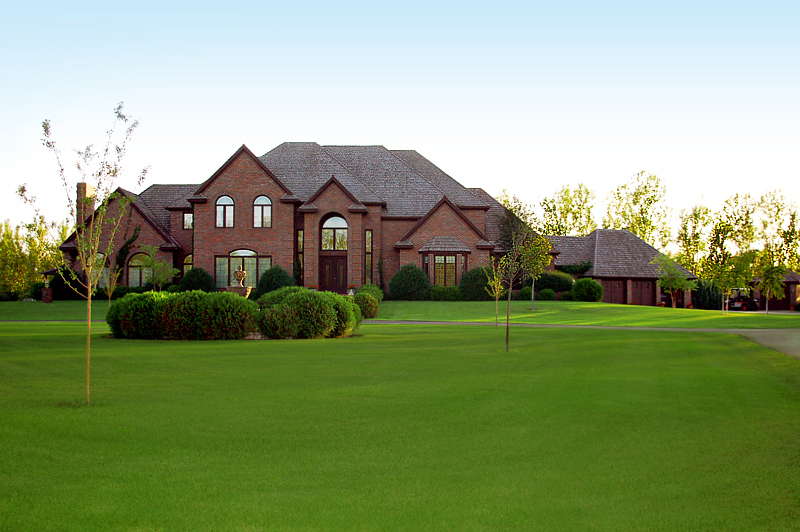 If your yard is watered properly you will have a full stand of grass within 2.5 to 3 weeks. If you compare that to the three weeks that seed and straw takes to even begin to sprout then you will quickly see the result, a lush green yard, faster, without burning a hole in your pocket with the excessive expenses associated with sod. 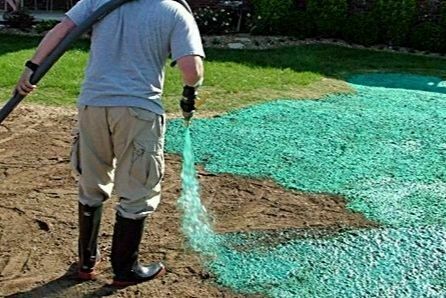 The secret behind hydroseeding lies in the hydroseeding mix. The mix, generally called your slurry, contains 2 main ingredients that promote seed germination, mulch and tackifier. he mulch is composed of 70% ground up wood and 30% ground up paper. When sprayed out on the banks or ground, the mulch surrounds the seeds and creates a moisture barrier that preserves and holds water for the seed to germinate much faster when compared to straw. When combined with tackifier the mulch sticks to heavily sloped areas like glue and holds the seed in place and helps prevent erosion until the seed germinates and develops a healthy root base in the soil. Once the seed germinates the mulch will slowly start to biodegrade creating more of the essential elements that grass needs to survive. Here at Alden & Son Construction, we strive to use the best grade products that will give or customers the best results. Additionally included in every tank, we add scientifically proven organic supplements that promote microbial growth in the soil, conditioning it to accept fertilizers and creating conditions to allow your grass to grow thick and lush. We are proud to give this to our clients with no additional cost because we know that every beautiful yard we complete, is the true signature of our commitment.